Richly engaging historical adventure in the vein of The Winter Palace and The Malice of Fortune. 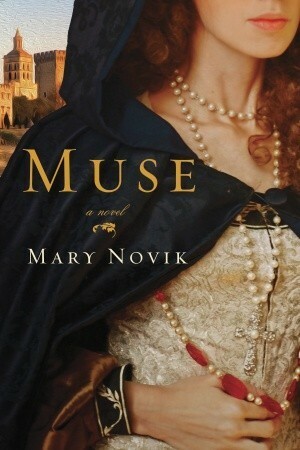 Muse is the story of the charismatic woman who was the inspiration behind Petrarch's sublime love poetry. Solange LeBlanc begins life in the tempestuous streets of 14th century Avignon, a city of men dominated by the Pope and his palace. When her mother, a harlot, dies in childbirth, Solange is raised by Benedictines who believe she has the gift of clairvoyance. Trained as a scribe, but troubled by disturbing visions and tempted by a more carnal life, she escapes to Avignon, where she becomes entangled in a love triangle with the poet Petrarch, becoming not only his muse but also his lover. Later, when her gift for prophecy catches the Pope's ear, Solange becomes Pope Clement VI's mistress and confidante in the most celebrated court in Europe. When the plague kills a third of Avignon's population, Solange is accused of sorcery and is forced once again to reinvent herself and fight against a final, mortal conspiracy. Muse is a sweeping historical epic that magically evokes the Renaissance, capturing a time and place caught between the shadows of the past and the promise of a new cultural awakening. I had this book on my Waiting on Wednesday post a few weeks ago, I had just finished reading CONCEIT by Mary Novik and I knew I wanted to read more from her. 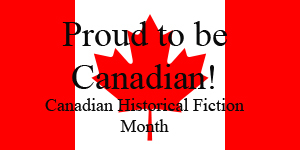 Lucky for me I ended up getting this in the mail a little while ago, it was a great surprise and I'm so happy to be able to feature a review for this book for Canadian Historical Fiction Month! This book is very different from CONCEIT, and yet I loved it just as much (if not even more). This book is about Solange's journey growing up with the gift of clairvoyance and all the danger she is in throughout her life. Solange moves around a lot, but what I love about her is that she does things for herself, in a world that is dominated by men, Solange is the woman who tries to change things and be her own person. The one thing that I absolutely love about Mary Novik's writing is that she brings her characters to life. She also really shows the dark and gritty parts of history. I love that she doesn't shy away from making her stories dark. Solange has good fortune every so often, but much of her life is difficult. The book is intriguing, and readers are kept wondering about what Solange will deal with next. I definitely loved the love story between Solange and Petrarch and how it grows and changes over time. She finds herself in love with this man, who continually betrays her, Novik writes this love story beautifully and really makes readers feel for Solange (yet I also wanted to yell at her many times over as well). I really enjoyed how this story is split into different sections, depending on where Solange is in her life. Solange becomes stronger and she continually fights for herself and what she believes she deserves. I believe that this book gives female readers a hero that they can root for. Solange picks herself up again and again, and continually fights. I think it's great to see writers picking up female figures in historical fiction and bringing them to the forefront more often. I have fallen in love with Mary Novik's writing style and I hope she doesn't wait as long in between her stories!